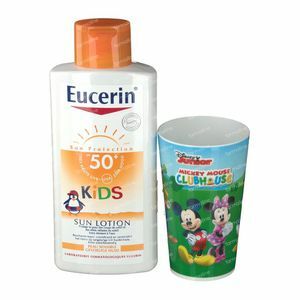 Eucerin Kids Sun Lotion SPF50+ 400 ml order online. 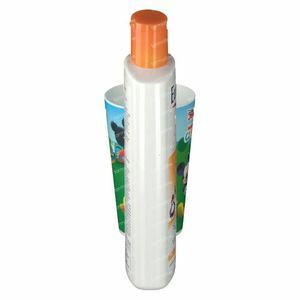 - A highly effective, photostable, UVA/UVB filter system with Tinosorb S that provides reliable protection against sunburn. EU- and Cosmetics Europe – The Personal Care Association (formerly called Colipa)-compliant. - Glycyrrhetinic Acid protects DNA by supporting the skin´s own DNA protection and repair mechanisms. - Cellular protection with Licochalcone A - a powerful antioxidant that protects the skin cells against damage caused by free radicals. 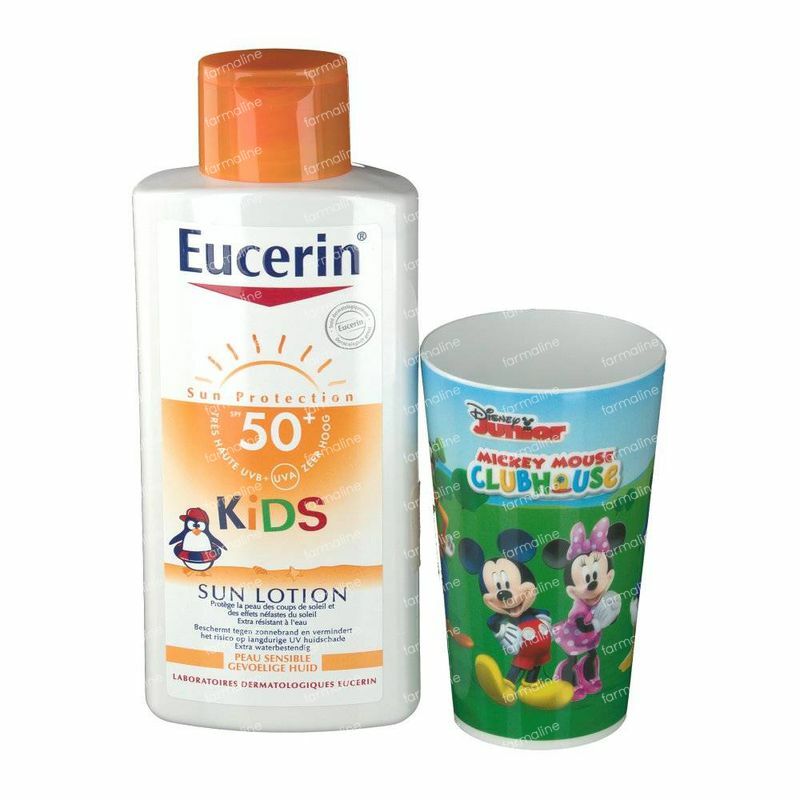 This non-greasy yet water-resistant lotion protects children's skin from sunburn and reduces the risk of longterm UV-induced skin damage. 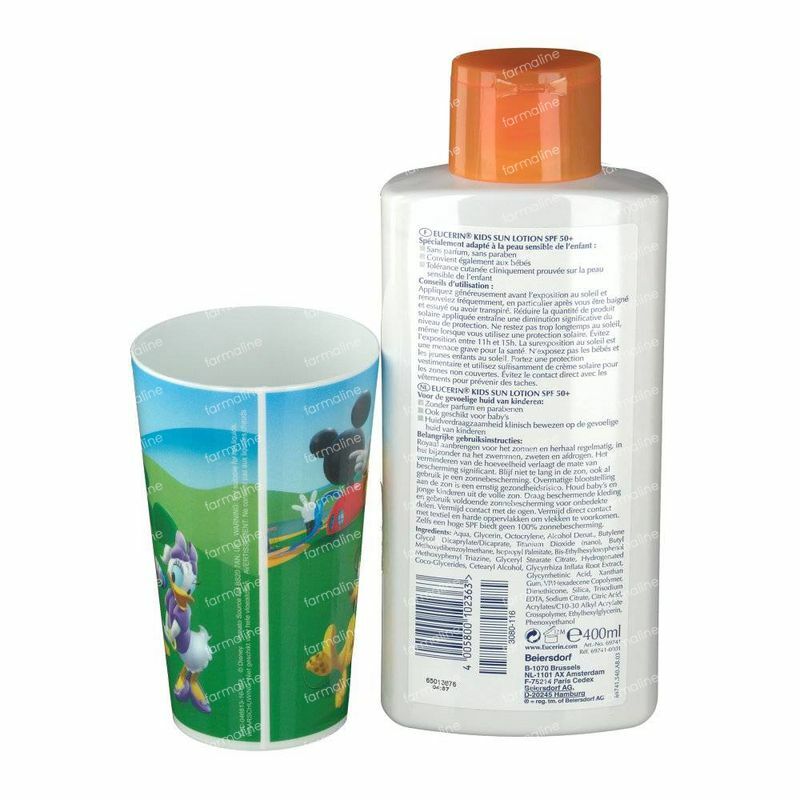 A very high UV protection sun lotion suitable for children over 1 year old. 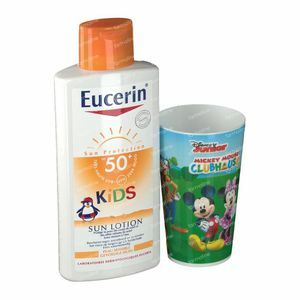 - Avoid intensive midday sun and extensive sun exposure as even sunscreens with high SPFs do not offer a 100% protection. 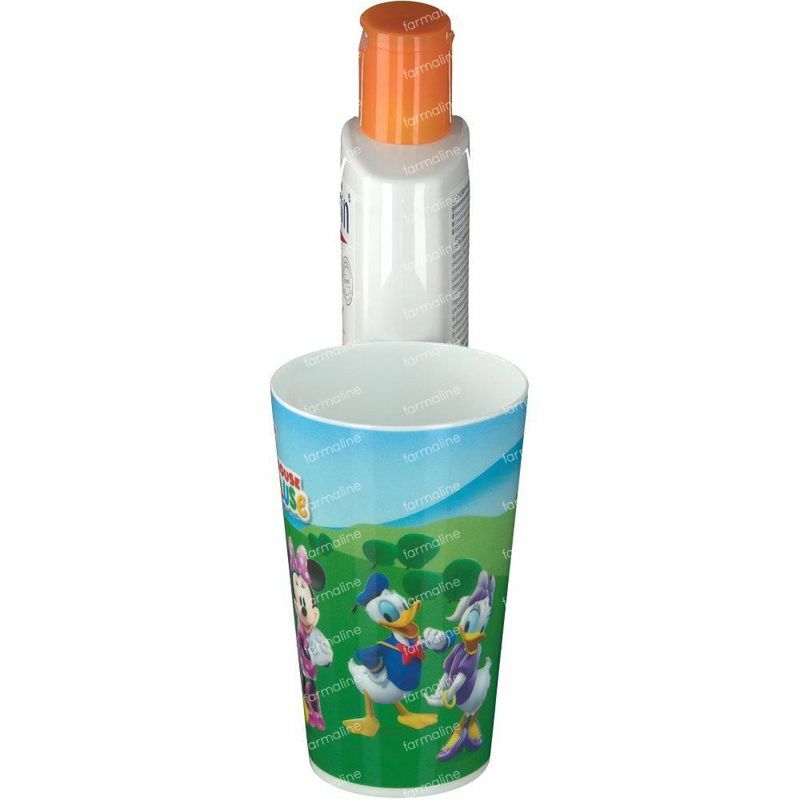 - Keep babies & small children out of direct sunlight. - Keep children well covered, including sun hat, t-shirt and sun glasses and use sunscreens with high SPF. - Apply generously before sun exposure & reapply frequently, especially after swimming, toweling and sweating to maintain the original protection. 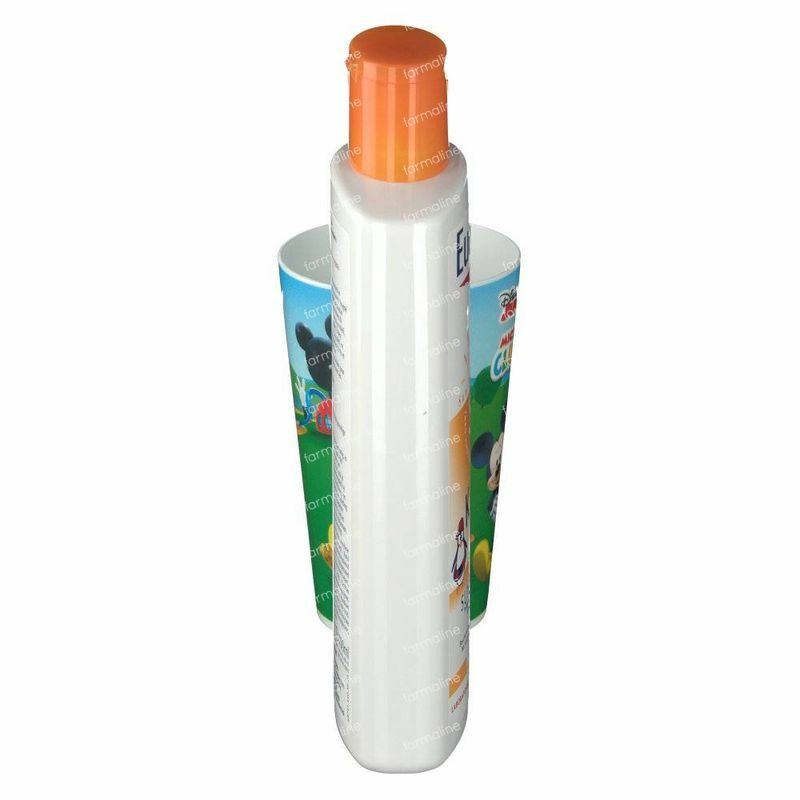 Insufficient quantity of sunscreen applied reduces the protection effect. 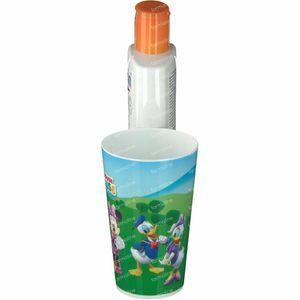 - Avoid contact with textiles and hard surfaces to prevent staining.